Worried about your stairlift fitting a spiral or curved staircase? We offer made-to-order models with tight track bends and total safety. 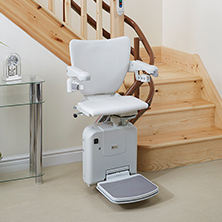 Our straight stairlift models can handle everything from narrow staircases to extra weight, and they do so with reliability and style. For more than 25 years, we’ve helped thousands of clients stay safe in their homes and regain their freedom and mobility. Discover some of the most commonly asked questions we receive about stairlifts and our services. If you have other questions, simply contact us. 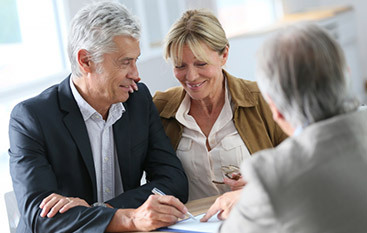 Since 1991, Sansbury Medical in Staten Island, New York has provided solutions and support to help increase the independence of disabled and elderly people. With 27 years of experience in the industry, we are committed to helping our customers live life on their terms, and we do so by offering high-quality, innovative stairlifts. 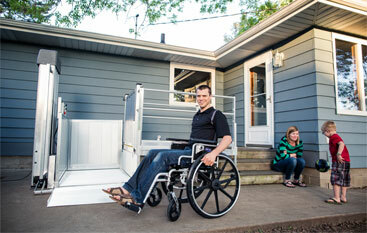 Whether you have straight or curved stairs, we can help you regain your mobility without sacrificing safety. Our safety and comfort accessories are designed to make your experience even more convenient. If you’re ready to get back your freedom, we’re ready to help. 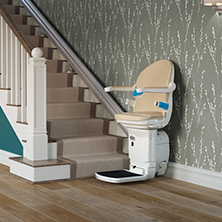 Contact us for a free consultation with one of our stairlift experts!